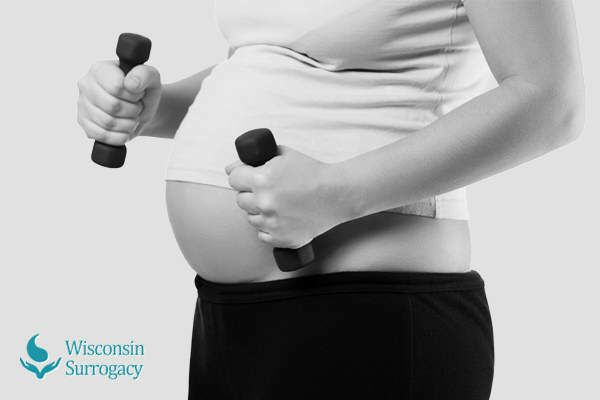 Surrogate moms need to stay fit as they go through their surrogacy journey. Staying fit throughout the course of your surrogacy journey isn’t as bad as you think it will be. All you have to do is make it fun and stay committed to a certain fitness routine. Get started on a much fitter version of you with the simple tips below. Make sure to include exercise in your daily routine. Do only easy exercises you can actually perform so as to avoid over-exercising. Over-exercising carries a number of health dangers to surrogates moms such as cardiovascular problems, muscle injury, and dehydration. The most ideal exercises are walking and swimming. Another great exercise for surrogate moms is yoga. You can do this exercise almost anywhere. Yoga positions, if held correctly, can provide you with an overall workout that builds flexibility and strength. This will help burn calories and build muscle, all in the comfort of your own space. To fulfill the fitness objectives of surrogate moms, it is important to monitor overall nutrition. To begin, drink lots of water, as this will help keep your body hydrated. As a surrogate mother, eating a well-balanced diet rich in protein, simple carbohydrates, and complex carbohydrates is also very helpful. Take it a step further and compute your daily caloric needs versus your actual intake. Make sure to fill your caloric needs along with your daily nutritional needs. This is highly valuable since you are now eating for two. Lessening bad eating habits will reinforce your fitness as a surrogate. A nutritious diet significantly supports overall surrogate fitness, but is often challenging to sustain if you are giving into unhealthy food cravings. Having food cravings is natural, but it is your responsibility as a surrogate mother to make healthy food choices. Adjusting to a well-balanced diet faster will help you quickly lessen your cravings for unhealthy food. Exercising throughout your surrogacy journey may not be something you want to do. Hopefully, however, this article has shown you the importance of staying fit and how manageable it can be for you as a surrogate mother.